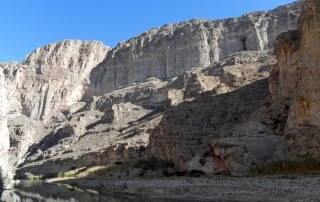 Colorado Canyon, in Big Bend Ranch State Park, is the most accessible of the area’s major river canyons, and offers vehicle accessible views of the river as well as a choice of short float trips. 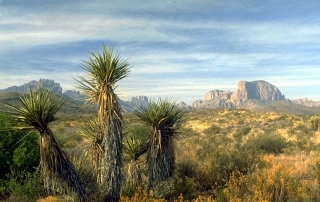 Most Rio Grande canyons have been carved out of dense limestones, which tend to erode into sheer, almost vertical walls. 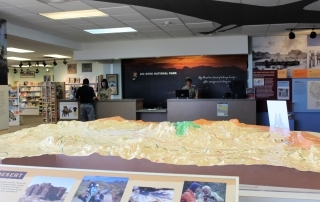 Colorado, however, is a canyon of a different color. 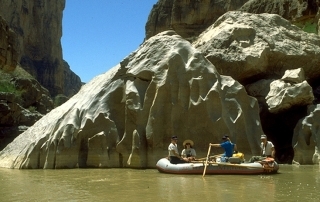 Unlike all the other river canyons in Big Bend, Colorado is carved from volcanic material. 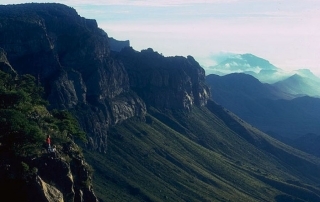 The walls of this rugged gorge are layers of ancient ash flows and falls. 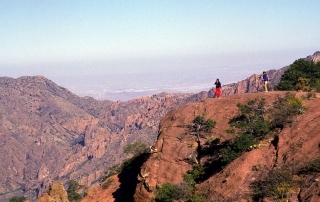 Incandescent clouds of atomized magma were spewed from vents in the nearby Sierra Rica and Bofecillos Mountains, then solidified over a wide area. 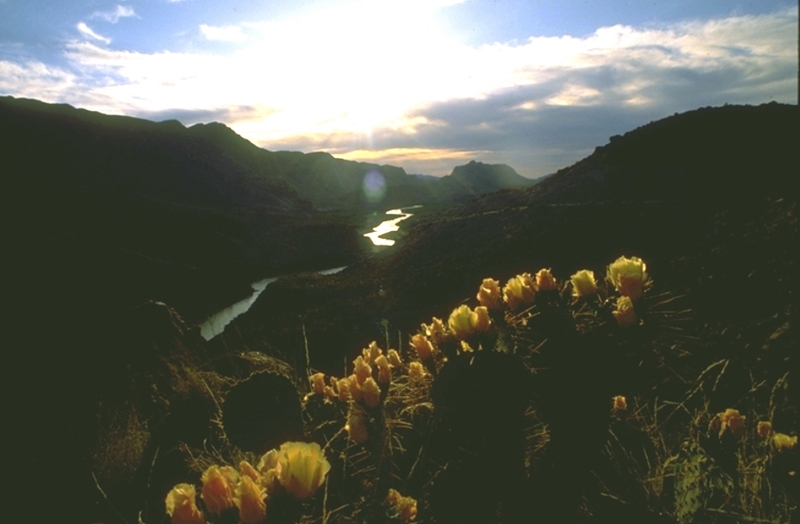 Over thousands of years the Rio Grande carved its way down to its present level and a wide variety of desert and riparian plants took hold in the mineral rich soil, making Colorado Canyon a hanging garden of yuccas, cacti, and other life. 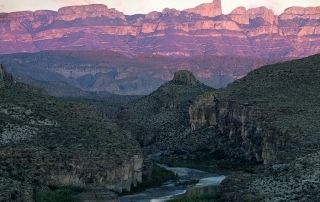 Colorado Canyon has the highest average gradient of any stretch of Rio Grande in Big Bend. This means more rapids. Guacamole, Quarter mile and Panther often rate Class ll-lll, and several other minor rapids pick up the pace. 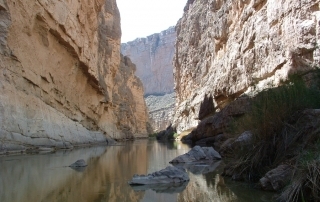 Put in is at Big Bend State Park’s Rancherias River access point approximately 15 miles west of Lajitas on FM 170, and at the earliest take out is at Madera River Access, 11 miles downstream. At most water levels, Colorado Canyon makes for a reasonable one-day trip. At low levels, it is a long day in a raft, and especially if the normal stiff afternoon headwind is present. This eleven-mile section of river from Madera to Lajitas is not contained within a steep gorge, but the luxuriant floodplain and the rugged vistas provide for a variety of enjoyable short trips. A 3-mile trip from Madera Access to Grassy Banks is leisurely even at the lowest water levels. This section is popular for those who just want a relaxing morning or afternoon on the river, with no rushing allowed. 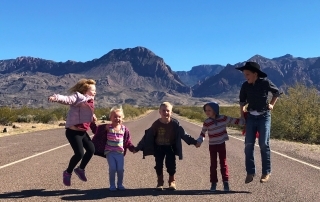 An igneous outcropping in midstream forms a series of smoothly eroded ledges that make a fun rapid at normal water levels, and an impressive roller coaster when the river’s up. This section is one of the best for bird watching, and guides continually spot interesting and uncommon species. 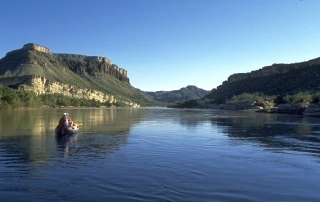 It is a good idea to check with local outfitters about current conditions before going on the Rio Grande.